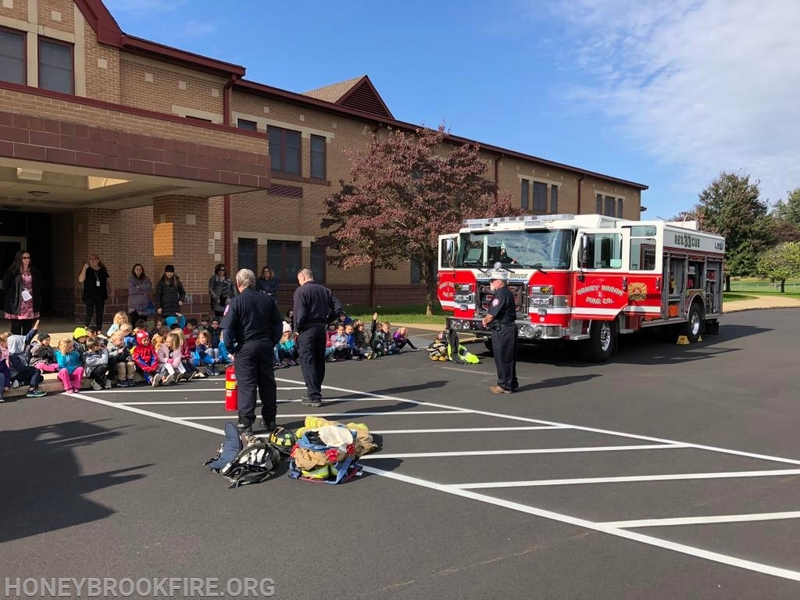 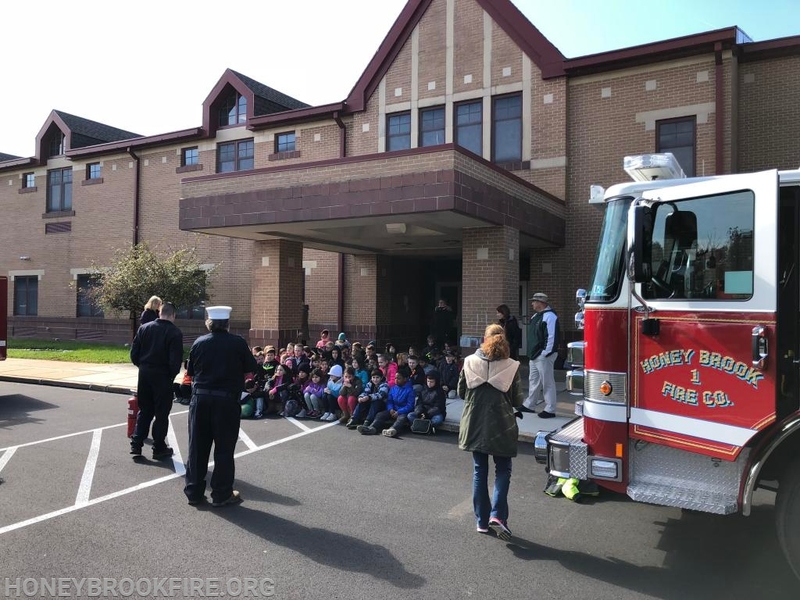 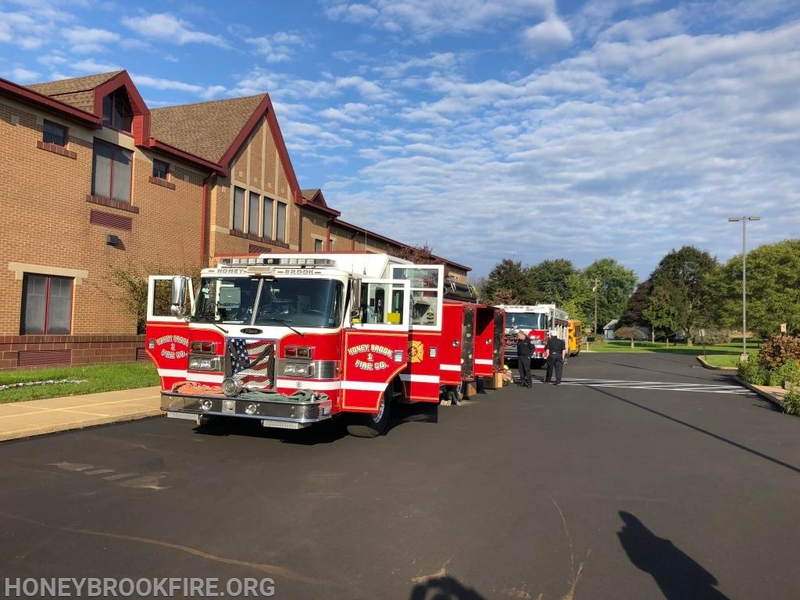 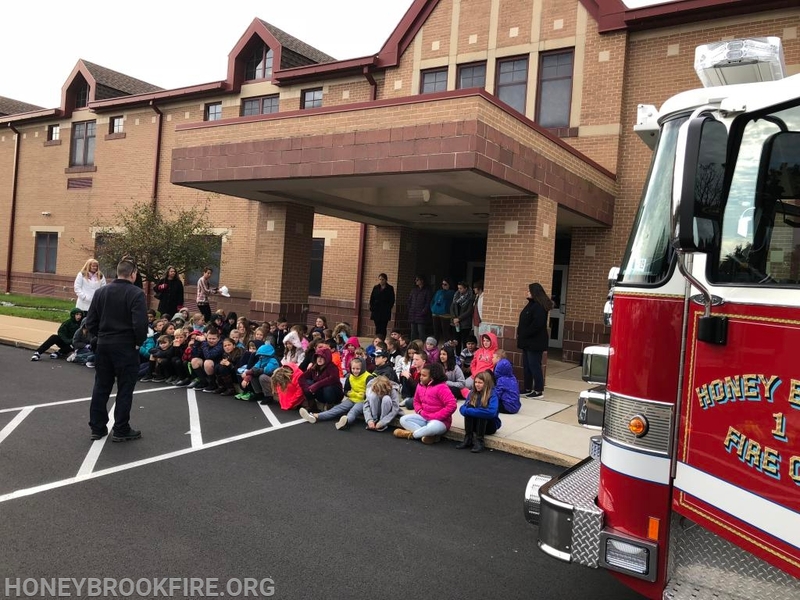 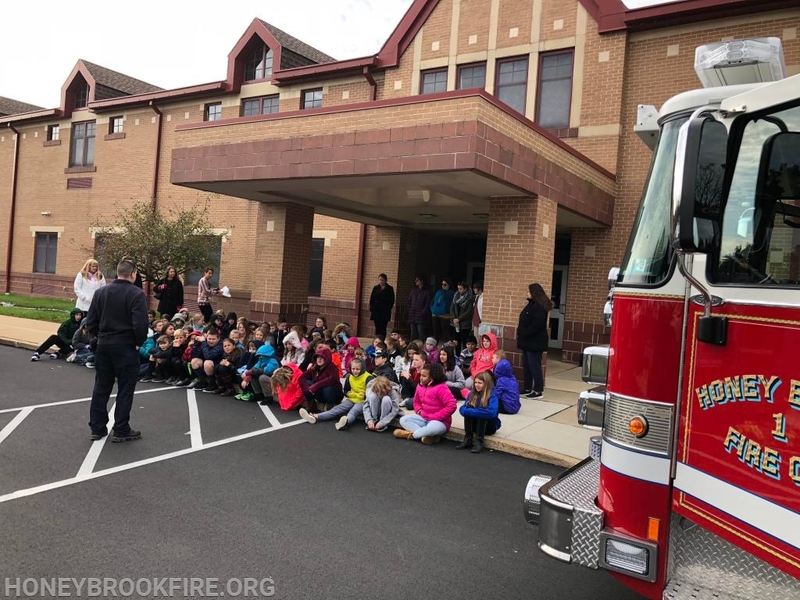 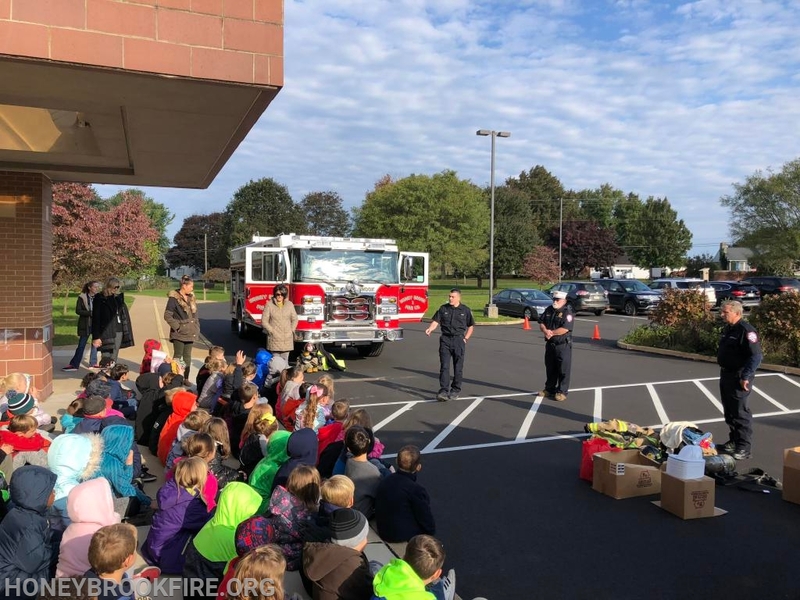 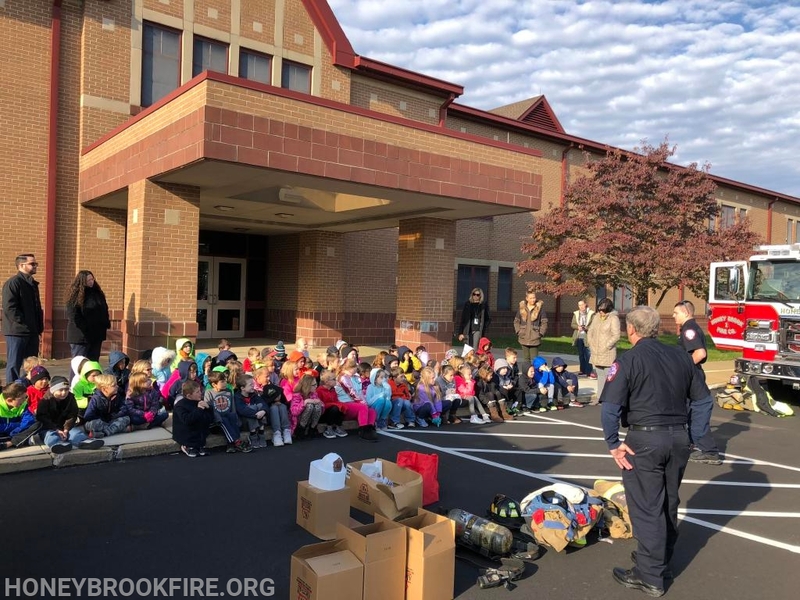 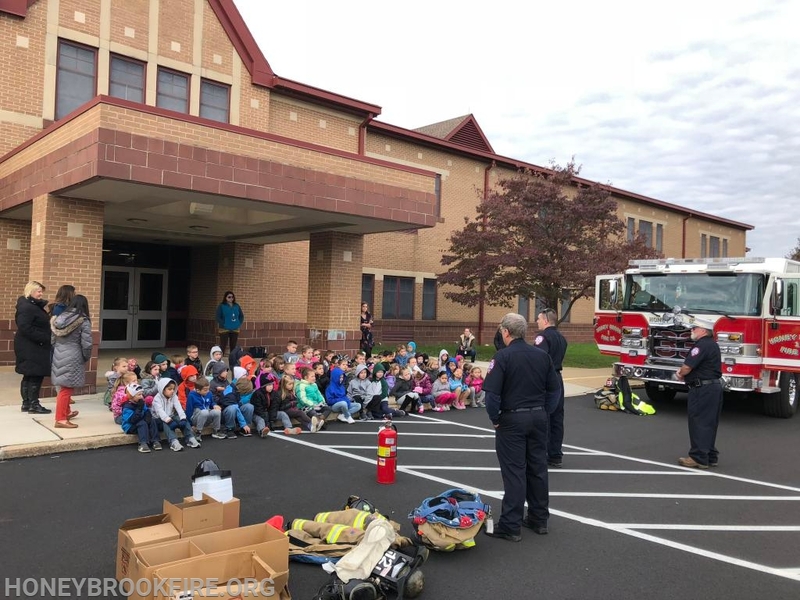 On Monday October 22nd HBFC members visited Honey Brook Elementary Center for our annual Fire Prevention detail. 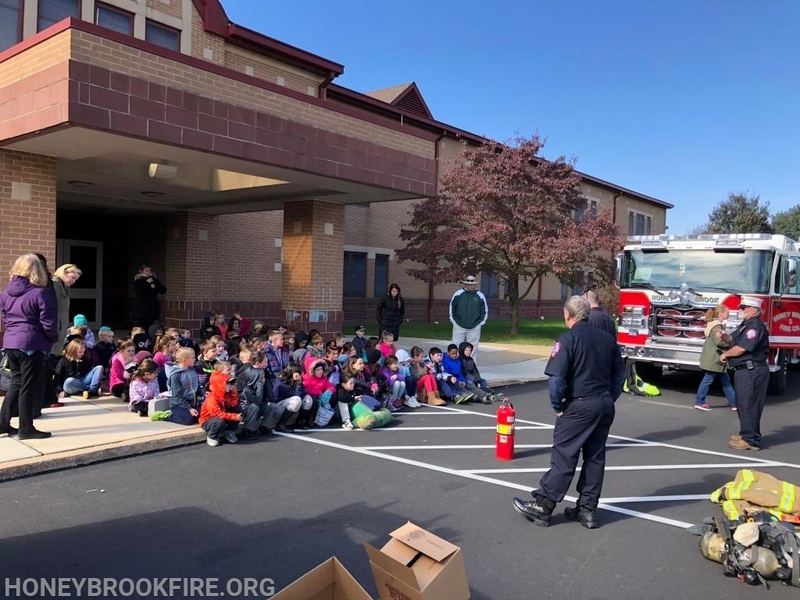 Five different grade groups attended a half hour session that included a question and answer portion followed by a tour around the Engine and Rescue. 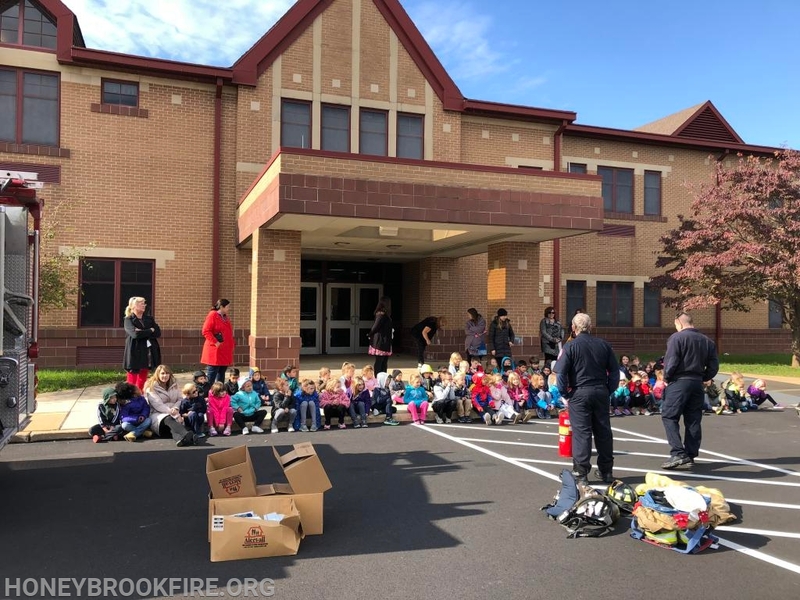 Fire Safety items of crayons, coloring books, plastic firefighter helmets were distributed to the groups. 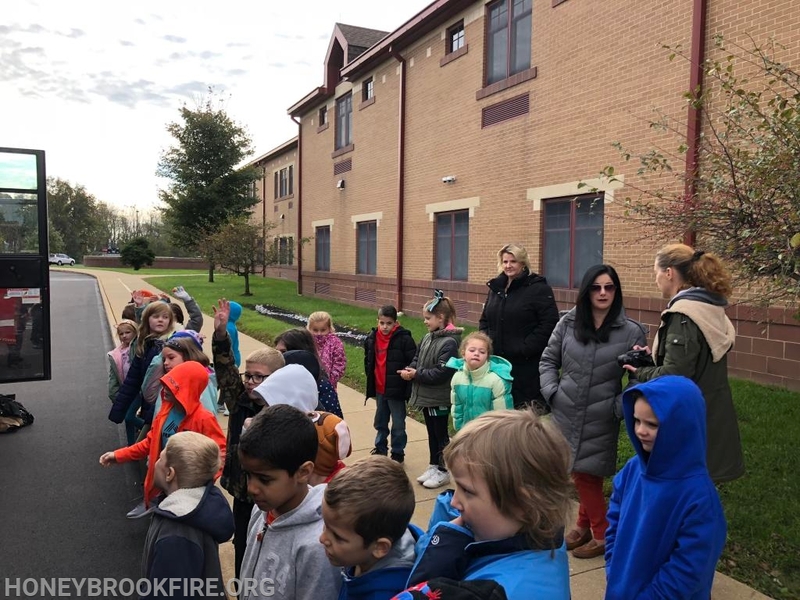 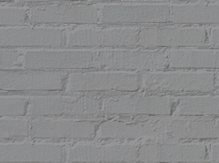 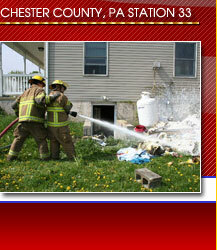 Home fire drills were discussed. 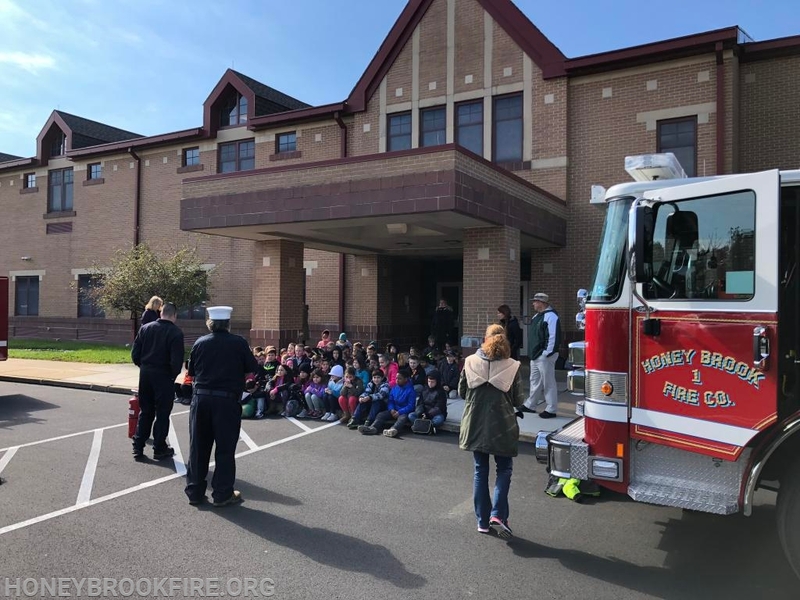 Thank you to Honey Brook Elementary students for participating in this session.